Chinese courts will use artificial intelligence (AI) in trials and execution of court verdicts in 2019, as part of efforts to improve services and advance the building of smart courts, according to the Supreme People's Court (SPC) Monday. 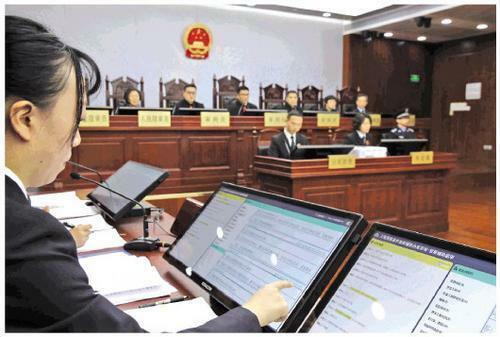 Xu Jianfeng, director of the SPC information center, said that the people's courts will use in-depth applications for electronic filing and advance mobile electronic litigation, and establish mobile micro courts, allowing intelligent applications to cover all aspects of trials. In terms of building smart courts, the people's courts will focus on precise execution, constructing holograms of people on trial, and linking with the social credit system. At the same time, combined with face recognition technology, the people's courts will improve integrated services and establish database to provide identity verification services and share information on citizenship, lawyers, enterprises and judges. The China Judgements Online, one of the country's judicial public platforms, has made public over 60 million judgment documents. The platform has received more than 20 billion visits.